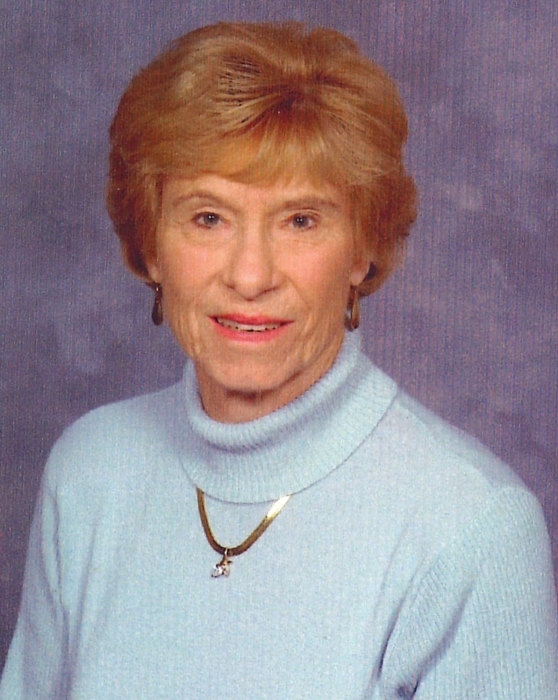 Joan Elizabeth Levine, 86, of Hancock County, went home to be with her Lord and Savior, surrounded by her loving family, on Saturday, August 4, 2018. She was born in Mt. Carmel, IL on November 27, 1931 to Homer and Blanche Marie Douglas Mains. Joan was a graduate of Calvary Bible College, St. Louis, MO. She worked for a number of years as a Police Officer in the Indianapolis Public School System. During her growing up years, her Dad owned a green house, flower shop and a truck farm; therefore, it allowed Joan to enjoy working in her own flower garden. Joan also loved to play golf. Her greatest joy in life was spending time wither her children, grandchildren, and great-grandchildren. Joan was a dedicated member of Realife Church and was very happy to know a new church is being built. In addition to her parents, Joan was preceded in death by her husband, Lawrence Levine; beloved son-in-law, David Short; mother-in-law, Evelyn M. Allen; sisters, Ruth Roosevelt, Bernice Brown; brothers, Robert Mains, Richard Mains, Gilbert Mains; niece, Penny King; nephew, Danny Mains; cousin and best friend, Teenie Johnson. Survivors include her children, Linda (Jeff) McLaughlin, Judy Short, Paul (Jeanine) Levine; grandchildren, Nicholas (Kimmie) McLaughlin, Megan (Levi) Falin, Todd (April) McLaughlin, Kerry (Sarah) Short, Kyle (Tressely) McLaughlin, Caitlin (Steven) Wilson, Lindsey Levine, Josie Levine; great-grandchildren, Taylor, Christian, Luke, Tori, Hayden, Gavin, Cora, Elsie, Nolan, Matthew, Ainsley, Paige, Reese, and Arabella. Family and friends will gather at 10 am on Wednesday, August 8, 2018 in Realife Church, 971 W US Highway 40, Greenfield, IN 46140, where the Funeral Service will begin at 12 noon. A Committal Service will take place in the New Palestine Cemetery, at 1:45 pm. In memory of Joan, donations may be made to Realife Church-Imagine Building Initiative. Envelopes will be available at the service.